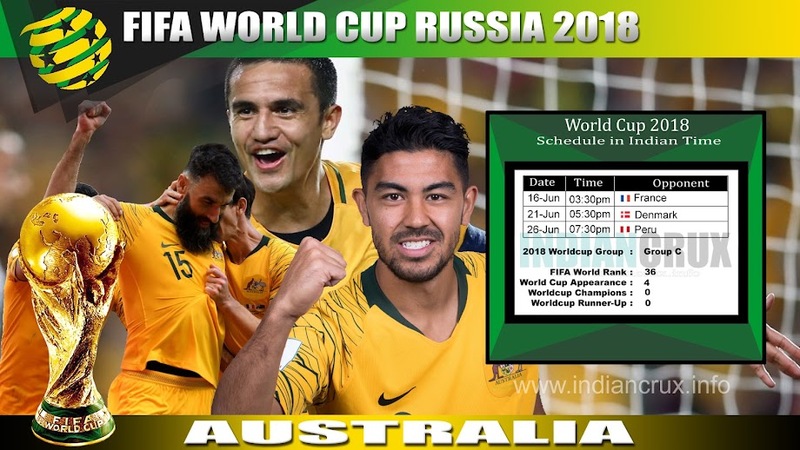 Australia Team Schedule and Results at FIFA World Cup 2018 are here in Live action. Stay tuned with Indiancrux for the live updates of FIFA World Cup 2018. Currently at 36th in FIFA World Ranking, who reached the at 14, which the highest of Australian football team, in September 2009. And currently at 32th in world ELO Ranking. Australia made their international debate against New Zelaand in 1922. The biggest victory made by Australian football team is against American Samoa (31-0) in 2001. The biggest defeat was in 1955 by South Africa (0-8). 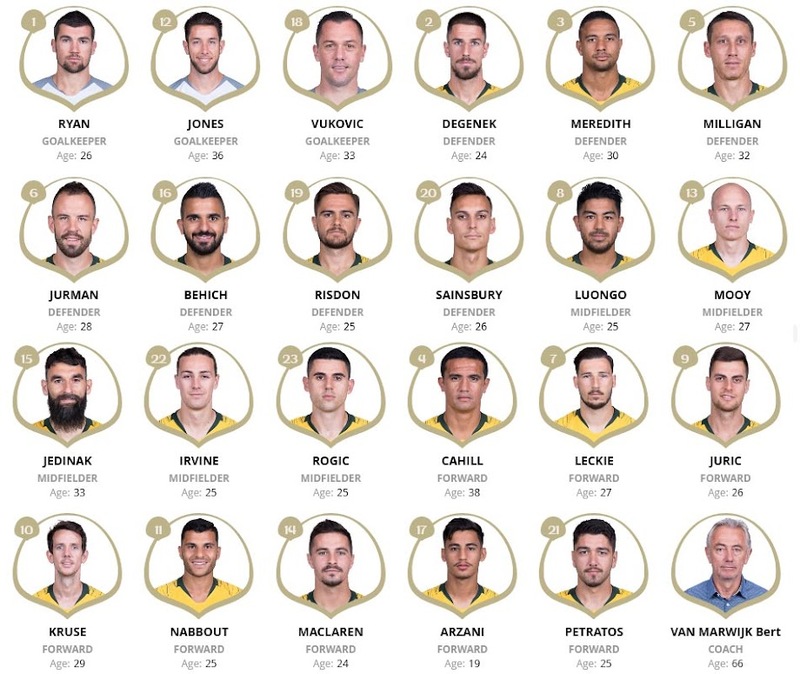 This is the 5th world cup for Australia National Team. First appearance of Australia was in 1974 World Cup hosted in West Germany. In 2015, Australia won the Crown of Asian Cup and Four times champions of OFC Nations Cup.